I wanted my Valentines Day Party to have a theme and like I shared last week, the theme of the party was “Love is in the Air”. I knew I wanted some kind of hot air balloon involved in the party. 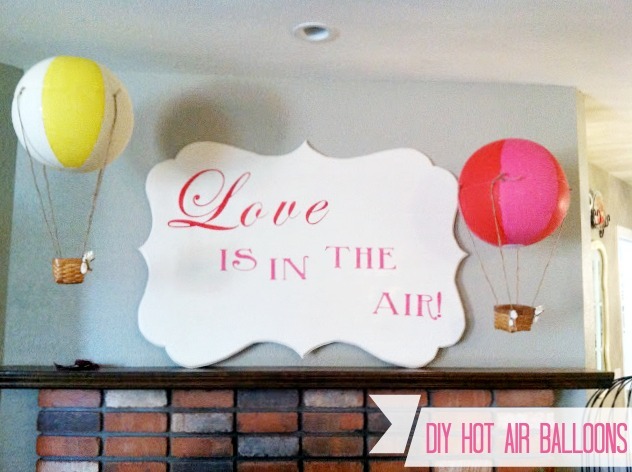 I searched high and low for a cheap hot air balloon that I could hang from the ceiling above my fireplace. The cheapest I found was $60 for a 7in one. I did not want to spend that. So I decided that I was going to try and make one. After ALOT of thought I came up with this. 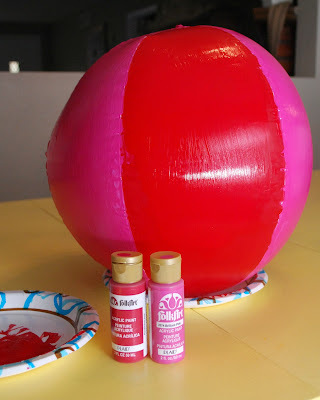 Use a $1 store beach ball, paint it and get a small basket (which I found at hobby lobby), fishing line, jute, and a small piece of white fabric. 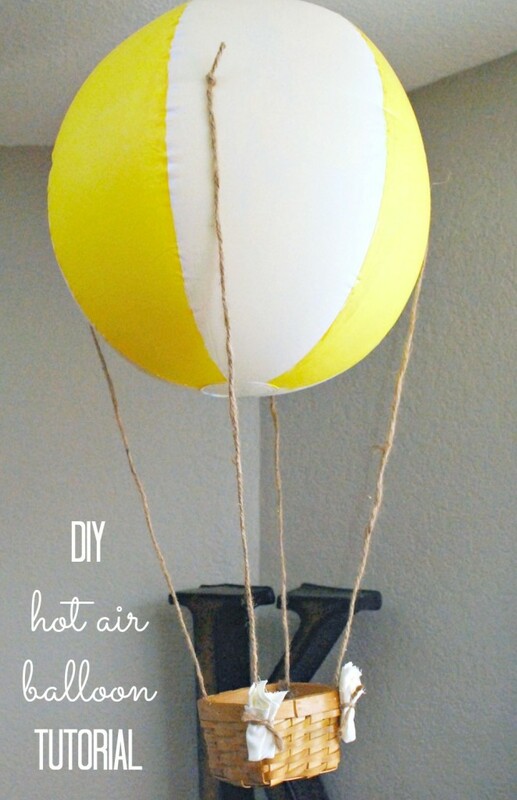 Since the hot air balloon was around $5 in total I made two. The outcome was perfect! I painted the two beach balls one pink and red and the other yellow with white/cream color. I hot glued jute/twine inside the basket. I tied fishing line around the balloon and the tie the jute that was tied onto the basket around the fishing line. Then, I tied fishing line to the part of the balloon that you blow into and hung it from the ceiling with a thumbtack. Finished! I was more then excited about the outcome! I love cheap but great decor! What do you think? Do you LOVE it or what? That is precious! Perfect for classroom decoration!